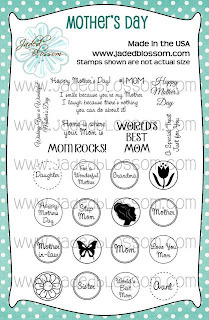 Hello everyone I hope your all enjoying your stamps from Jaded Blossom April Release. I have been having so much fun with them. Today is my day to post as Jaded Blossom's April Guest Designer, so I have this pretty little gift box I made, the box is from K&Company it's a punch out from a paper pad I found the paper pack in Target on clearance, I love those finds. 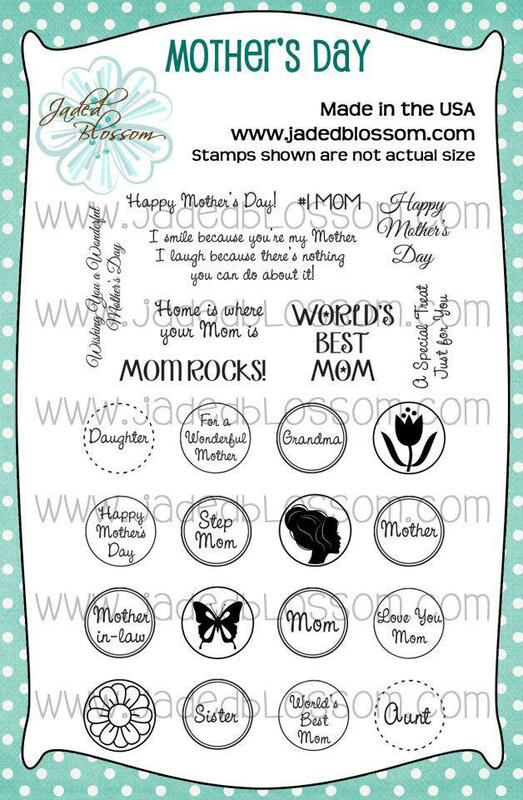 I also used the Mother's Day stamps from Jaded Blossom. OMG! Debbie...this is amazing! You did such a GREAT job on this...Any Mom would love to have this on Mother's Day! Thank you so much for Guest Designing with us this month! What a wonderful treat! Fabulous job Debbie! So Beautiful Debbie, I just love all those Pearls you added on your treat box. This is so pretty! Love all the little pearls. This is so pretty and elegant. Love it!